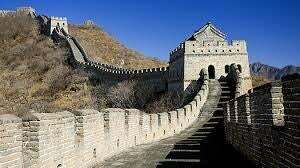 We are thrilled to offer a Once In a Life Time Deal--- China Delight 10 Day Tour is now 2 FOR 1, this sensational deal allows you to explore Forbidden City and Great Wall in Beijing, Bund in Shanghai all in one trip. Fortnightly Departures from Toronto/Vancouver. Other departure cities are also available. Roundtrip airfare, domestic flights within China, luxury hotel accommodations, meals, English-speaking guided sightseeing tours and entrance fees, all transfers and transportation. Almost EVERYTHING is included. Limited Time Offer!!! Limited Spots Available!!! Don't miss this amazing deal! Pacakage Price is based on airfare availability. Tour prices are subject to change without prior notice. Call or email to check availability or to get YOUR TRIP booked.